I always thought some standardized test score range was the worst way to encourage reading. It’s so artificial. And then force kids to take a test after they finish their “free” choice book? It makes no sense. If you had to take a multiple choice test after every book you read for pleasure, do you think you’d like reading? The school’s strict enforcement of Accelerated Reader was no small factor in our decision to pull them out & homeschool. When it came to planning the current school year’s literature, I wanted to do something fun to select our books. 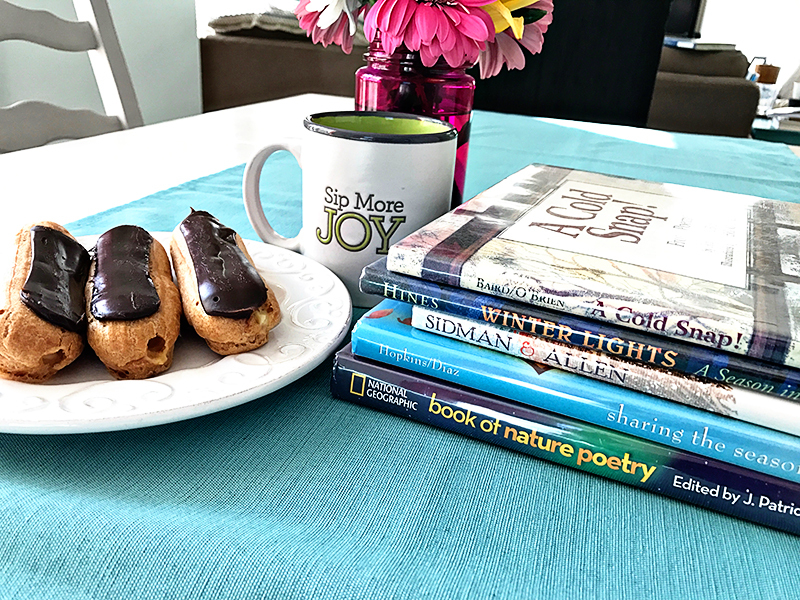 Once Brave Writer released its 2017-18 Boomerang book list, I looked through the new titles (plus previous years’ books), pulled a bunch of books from the library that I thought my boys might like, and threw a surprise Bookworm Book Tasting Party. I typed the opening lines from each book and printed them on card stock. (And added washi tape, of course. Hormone therapy, you guys.) Thanks to Boomerangs, we’ve developed a new appreciation for opening lines. We spent the first few minutes reading and enjoying the opening lines, seeing if any hook us into wanting to read more. 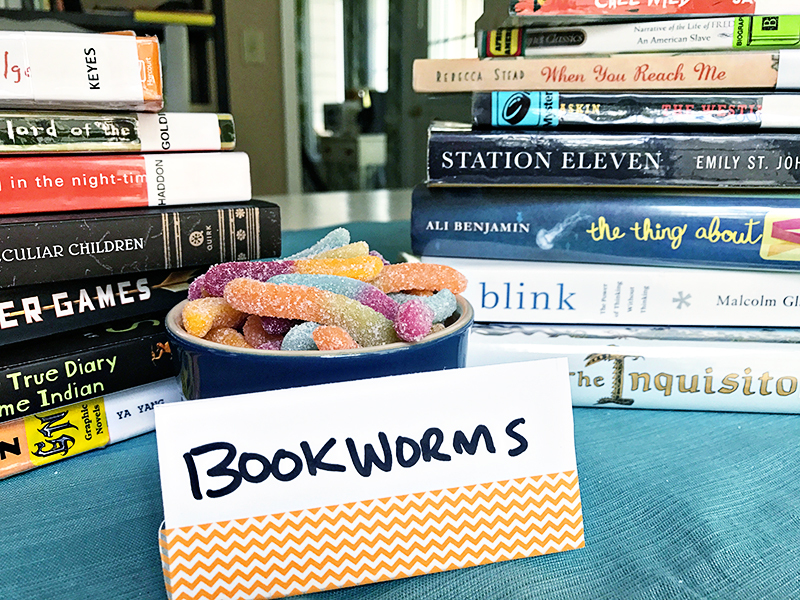 Gummy worms played the role of edible bookworms. When it comes to teenage boys, you can’t go wrong by adding food. Pinkie swear. We played a short match-up game by comparing opening lines and titles to see if there was any hint of connection between the two. 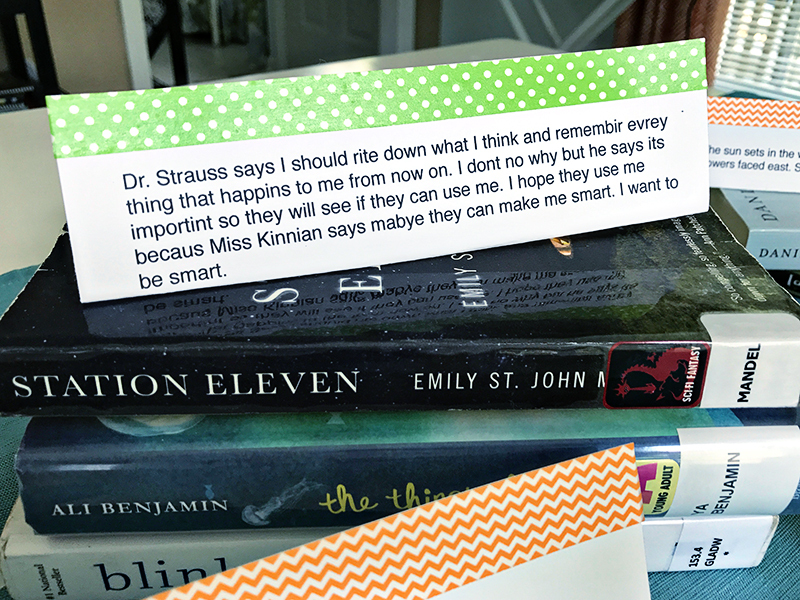 Bonus bookworms were handed out if you matched the opening line to the book just based on the title. It was my sneaky way of pulling in some deeper thinking about titles. 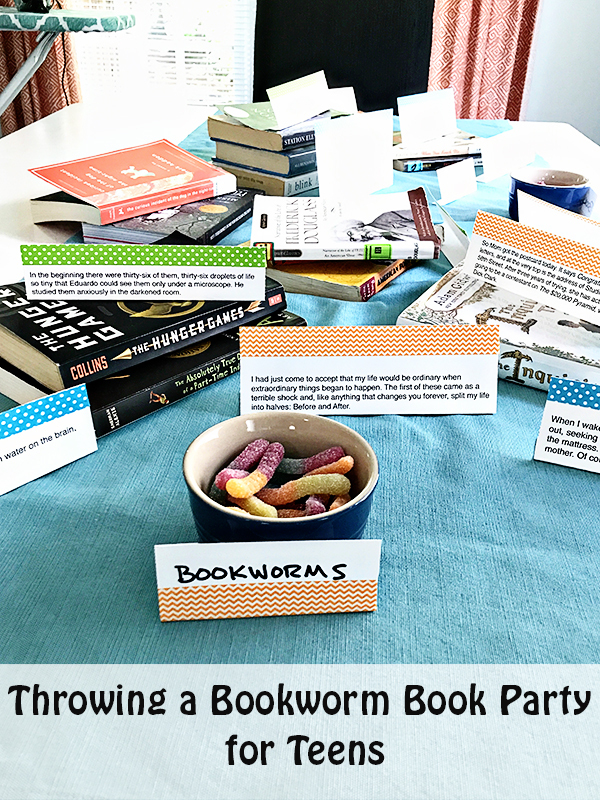 At the end of our little party, my guys had not only selected all of the books for their school year, but they’d also selected the widest genres variety ever. Not too shabby of an outcome for an hour or two of my time and a bag of gummy worms. I love this! My boys stared off in ps with the ar program too and I have had the same thoughts. They were never allowed to read what they wanted! Had to pick from a few select books at the school library. It’s not a good way to make reading fun or enjoyable!